Ojai’s ‘Pink Moment’ Sunset. 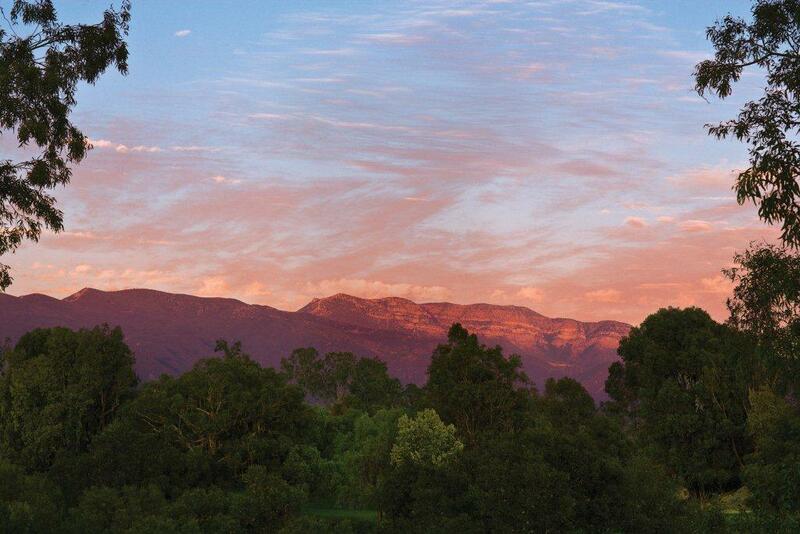 Photo courtesy of Ojai Valley Inn & Spa. Known for its legendary “pink moment” sunsets, Ojai is an artists’ enclave that feels like a million miles from city life – yet is only 90 miles north of Los Angeles and 30 minutes from Santa Barbara. A village “as we locals call it” of about 8,000, Ojai is a vibrant place with so much natural beauty that it gained fame decades ago when the area was photographed to represent Shangri-La in the 1939 movie, The Lost Horizon. For “official” information on Ojai, click here and here. To hear what locals and visitors have to say, visit the the Facebook page, I Love Ojai. People have numerous and passionate reasons why they love Ojai: artists’ enclave, spiritual vortex, quaint small town, world-class hotels, spas and cuisine, the Ojai Trolley, roadside fruit and vegetable stands, Norman Rockwell-esque community festivals, commitment to green living, slower pace of life, etc. Ojai’s charms are many. Click here for a list of restaurants in Ojai Valley. •	QUALITY INSTRUCTION: Workshops Taught by "Masters" of Storytelling - some of the Best Writing Teachers on the Planet! •	EXCLUSIVE TO A FEW: Limited Class Sizes (6-12 writers) Keep the Workshops Intimate and Engaging. •	CUSTOM WORKSHOPS: Enjoy Workshops Only Taught in Ojai and Not Found Anywhere Else in the World! •	DREAM DESTINATION FOR WRITERS: Nestled Amongst Mountains That Turn Pink at Sunset, Revel in the Beauty and in Your Own Creativity and Self Expresson. A Quaint Village That Esteems Writers - This is The Majestic and Unhurried Ojai Valley. Relax. Expand. Write!